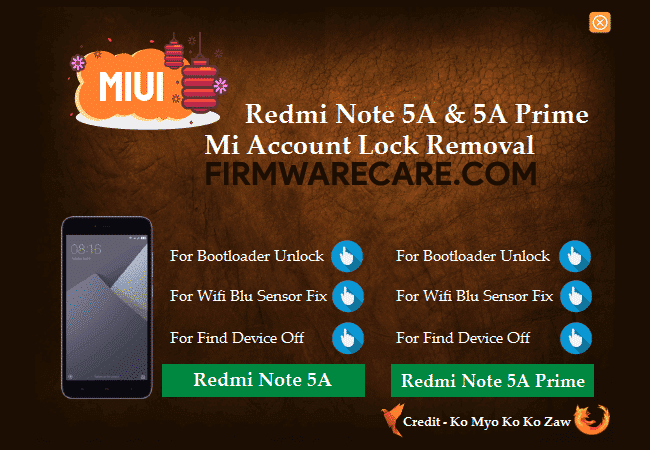 Mi Account Lock Removal Tool is a small application for windows computer which allows you to remove the Account Lock on Xiaomi Redmi Note 5A and Xiaomi Redmi Note 5A Prime Smartphone in a Click only. It helps Xiaomi Redmi users to remove the account lock by bootloadeer unlocking, fixing WiFi Blu sensor, Fixing Find Device off. To use the Tool, you may need to install the Qualcomm Drivers on your Windows Computer, then on your Xiaomi Device boot into the EDL mode and connect it to the computer. [*] Compatibility: The Mi Account Lock Removal Tool runs perfectly on Windows XP, Windows Vista, Windows 7, Windows 8, Windows 8.1 and Windows 10 (32 bit and 64 bit). [*] Credits: Xperia Dual Lock Recovery Downloader is created and distributed by Ko Myo Ko Ko Zaw (developer). So, full credits goes to Ko Myo Ko Ko Zaw (developer) for sharing the tool for free.